I am really really attracted to the uniqueness of this book to make the enormously complex issues like ones highlighted above into simple, comprehensible materials that can be digested at the level of a teenage kid. Although originally intended for kids, I find this book to be informative for myself too. 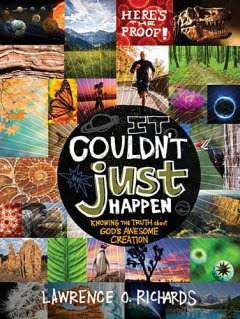 As a lecturer and as someone who deals with college students in CF, this book is an excellent book for me to carry along in my iPad wherever I go, because it contains an enormous wealth of scientific information, that adhere to the sovereignty and creativity of our Creator God. To those who are not so inclined to scientific arguments, the materials contained in this book may seem a bit daunting and mind-blowing, but to those who love science, including myself, this book is simply, simply amazing!